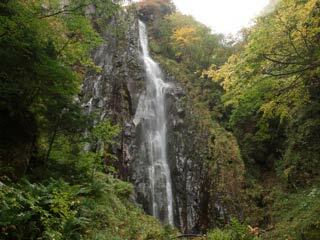 Kimyo Falls','奇妙滝',14,'Kimyo Falls (奇妙滝) is 60m tall waterfalls located in Suzaka, Nagano. The water coming from Mt. Kimyo. It has very mysterious look because the rocks of the waterfalls are deep black color, and bottom of the falls and the river from it are red. It has great Autumn leaves in October. Be careful with fallen rocks. Road officially closed because of fallen rocks. Take all responsibility if you want to visit this waterfalls.